A movie about romance and ... abortion? 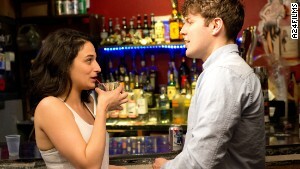 "Obvious Child" is a 2014 romantic comedy in which stand-up comedian Donna Stern (played by Jenny Slate) decides to have an abortion after a one-night stand with Max (Jake Lacy). Producer Elisabeth Holm says it's more about a 20-something woman figuring out her professional and personal life than about an abortion. Here are some examples of TV shows and films over the years in which a character has an abortion. 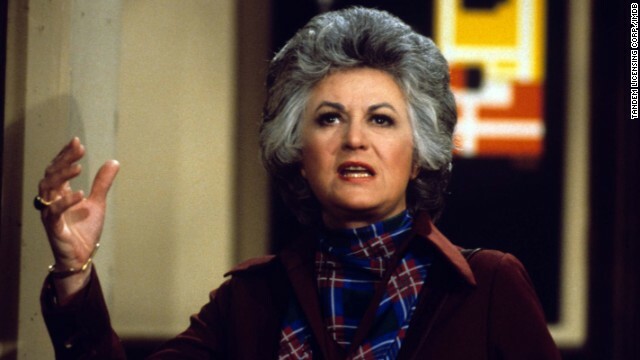 "Maude" (starring Bea Arthur) devoted two episodes to the grandmother's unexpected pregnancy -- and her decision to have a legal abortion in New York. The episodes aired on November 1972 to enormous protest, just a year before the landmark Roe v. Wade decision. The 1987 summer romance "Dirty Dancing" was set in 1963, and while Frances "Baby" Houseman (played Jennifer Grey) was one of the leading roles alongside Johnny Castle (the late Patrick Swayze), there was another baby involved. While at a resort with her family, Baby helps pay for an illegal abortion for dancer Penny (Cynthia Rhodes), which ultimately leaves Penny debilitated. It forces Baby to step in as Johnny's new dance partner for an upcoming competition. 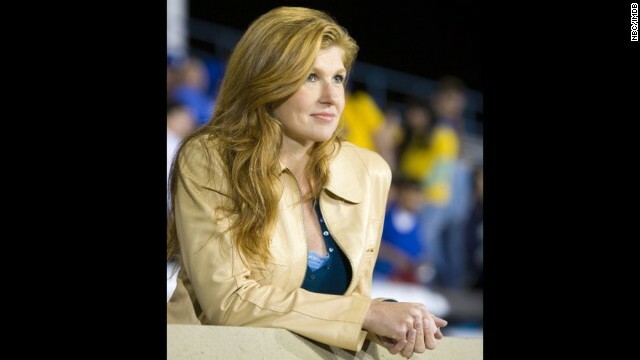 When high schooler Becky Sproles (played by Madison Burge) becomes pregnant after a chance encounter with football player Luke Cafferty, Becky seeks guidance from Dillon High School guidance counselor-turned-principal Tami Taylor (played by Connie Britton). After careful consideration, Becky decides to have an abortion, with her mom by her side. In the 2008 drama "Revolutionary Road," Leonardo DiCaprio and Kate Winslet play Frank and April Wheeler, a couple in the 1940s who become sick of their suburban lifestyle and set their eyes on Paris. After April gets pregnant and Frank is offered a promotion, the two put those plans on hold. April, still unhappy, ultimately decides to perform her own abortion, and dies after the botched procedure. 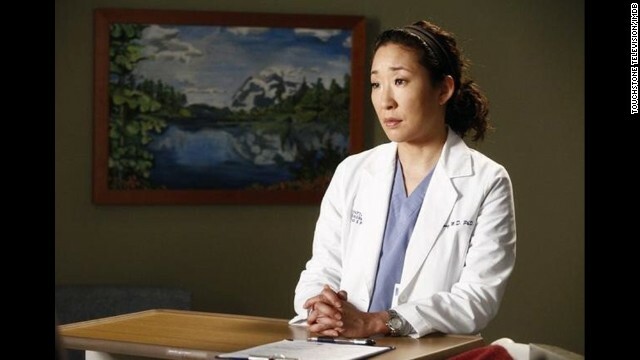 After an earlier miscarriage, Cristina Yang (played by Sandra Oh) in the hit series "Grey's Anatomy" decides to have an abortion in order to keep up her workaholic tendencies. The show's creator and show runner Shonda Rhimes later told New York Magazine that she had wanted to include the plot line in the first season, but had "some very strong conversations with Broadcast Standard and Practices back then about the topic." In "The Cider House Rules," a 1999 screen adaptation of John Irving's 1985 book of the same name, Homer Wells (played by Tobey Maguire) stars as a young orphan who becomes an apprentice abortionist, despite disapproving of the procedure. Charlize Theron stars as Candy Kendall, a young woman who comes with her boyfriend to the orphanage to seek an abortion, while Erykah Badu plays Rose Rose, a woman seeking an abortion after she's raped by her father. 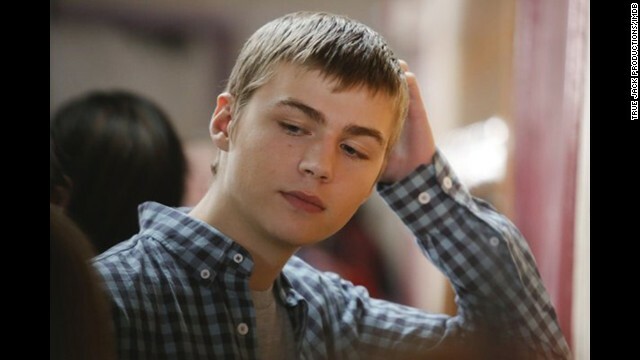 On the NBC drama "Parenthood," shy teen Drew (played by Miles Heizer) finds out girlfriend Amy (Skyler Day) is pregnant and supports her through her decision to have an abortion, even though he had told his sister that part of him wanted to stick out the pregnancy. At the end of the episode, Drew is seen crying in his mother's arms. Things got very real for viewers of the second season of MTV's "The Real World: Los Angeles" in 1993, when cast member Tami Roman had an abortion in one episode. 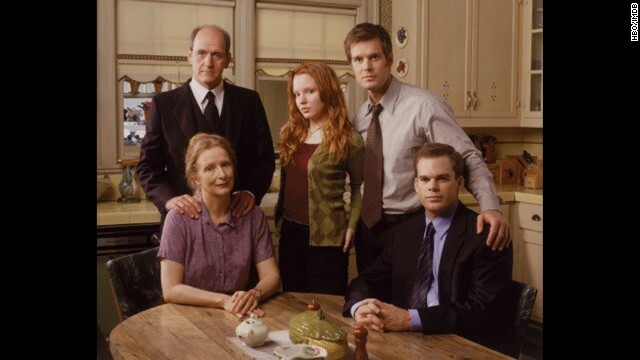 On the HBO series "Six Feet Under," teen Claire Fisher (played by Lauren Ambrose) faced an unwanted pregnancy and decided to have an abortion in order to continue art school. She later had a dream about her fetus in heaven. In the Canadian high school series "Degrassi: The Next Generation," Manny Santos (played by Cassie Steele) has an abortion in the episode called "Accidents Will Happen." Craig, the student who impregnated her, wanted to keep the baby and start a family. The pair ultimately calls it quits because of the abortion. In the episode, Manny's mother supports her decision and drives her to the abortion clinic. The episode was the subject of controversy in the United States after the network it was on, The N, censored it. Editor's note: The following article contains minor spoilers about the plot of "Obvious Child." (CNN) -- "Obvious Child" has all the story arcs for romantic-comedy gold, including a newly brokenhearted protagonist trying to find her way in life and love, an unlikely meet-cute of opposite personalities and an advisory panel of cheeky best friends. But one of the film's major through lines is a topic not often broached in theaters: abortion. 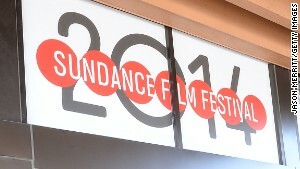 The film, which premiered at the 2014 Sundance Film Festival and will open nationwide on Friday, has been called "the most winning abortion-themed rom-com ever" by The Dissolve, and in a piece called "No more Shmashmortion" on Slate.com, writer Amanda Hess deemed it "the most honest abortion movie I've ever seen." Though the movie successfully mines the traditional rom-com tropes for laughs, groans and "awwwws," abortion is emerging as its unlikely claim to fame. 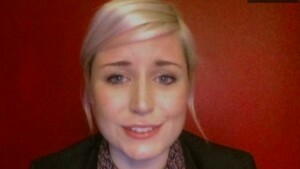 "We don't feel like that description does it justice," producer Elisabeth Holm told CNN. 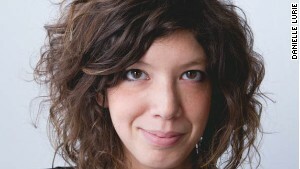 Elisabeth Holm is the producer of "Obvious Child." "It's as much about a stand-up comedian and her life in New York. (An abortion) happens, but it doesn't have to define her." When Holm spoke with CNN, she acknowledged the filmmakers were "trying to humanize the experience," even including a scene during the main character's abortion procedure. But they "never set out to make an agenda-driven film," Holm said. Gillian Robespierre wrote and directed "Obvious Child"; actress Jenny Slate stars as Donna Stern, the bathroom-humor-prone comedian who chooses to undergo an in-clinic procedure after a booze-fueled, one-night stand with Vermont-bred prepster Max, played by Jake Lacy. Jenny Slate and Jake Lacy in "Obvious Child"
Abortion has long been a hot topic in pop culture, from "Maude" in 1972 to HBO's "Girls" in recent years. The release of "Obvious Child" comes shortly after a woman faced criticism for filming and releasing footage of her own abortion in order to show that it wasn't the traumatic experience for her that many assume it to be. In 2010, the CDC reported 765,651 legal induced abortions, with women in their 20s -- like Slate's character -- contributing to the majority of that number. The debate in movies, TV and viral clips is a reflection of real life: According to a recent CNN/ORC International survey of Americans, 27% of respondents said abortion should be legal in all circumstances, 13% said it should be legal in most circumstances, 38% said it should be legal in a few circumstances, and 20% said it should always be illegal. Holm says as a born-and-raised New Yorker, both she and director Robespierre came from a world where conversations about abortion happened "in a shame-free, regret-free, clear way" with mothers, friends and sisters -- and that was the experience that they wanted to show on-screen. In "Obvious Child," several characters along the way reveal they had abortions (some legal, some not) in their teens and 20s. As with any romantic comedy, the two leads, Max and Donna, maintain a "will they/won't they" vibe throughout most of the film -- and that's intentional, Holm says. But Donna's decision to terminate her pregnancy isn't wishy-washy, or even driving the plot. It's the result of a drunken one-night stand that ends without exchanging phone numbers. She's lost her job, and is trying to get a comedy career on track -- from Donna's perspective, the choice is clear. Does Sundance buzz translate to dollars? "It's very decisive," Holm says. In a scene filmed in an actual Planned Parenthood, Donna says, "I'd like an abortion, please," then apologizes about sounding like a fast-food customer before repeating her request. Holm says it was crucial to illustrate the actual abortion process: A camera focuses on Donna's face as the sedative kicks in and vacuuming sounds hum in the background. "I think we've seen a lot of movies where they fade off into the sunset before that action happens," she says. "It was critical to show this moment where it's safe and healthy and also vulnerable." "This is an experience that many women go through without shame and regret, but not without emotion. Hopefully it's something that people can connect to and have a conversation about. Whatever side you're on." Framing the ever-contentious issue in a romantic comedy has captivated audiences. "It shouldn't be a particularly earth-shaking turn, but in a world of rom-coms like 'Knocked Up' and 'Juno,' in which the heroines make the heartwarming decision to go ahead with their pregnancies, this modest little indie movie feels momentous," NPR film critic David Edelstein said of the film. Meanwhile, a piece at the Daily Caller asked, "Has Hollywood hit a new low?" Its gist: "The film seems to be another Hollywood attempt to reinforce their idea of female empowerment. In this case, it includes one night stands and abortions." Don't miss out on the conversation we're having at CNN Living. Follow us on Twitter and Facebook for the latest stories and tell us what's influencing your life. Robespierre told nonprofit news organization Mother Jones: "Whatever other conversation occurs, we're really excited. ... (Conservatives bashing "Obvious Child") haven't seen the movie; they're basing it on articles and trailers." Still, just as with any summer romantic comedy, the filmmakers hope the takeaway for viewers is sweet, sincere and relatable. "Hopefully, the movie is one that makes people feel confident in who they are and the choices that they make," Holm says. "And sometimes with confidence comes vulnerability -- and that's a very human experience." Do you think abortion is a fitting topic to include in a romantic comedy? Share your thoughts in the comments, on Twitter @CNNLiving or on CNN Living's Facebook page. Read more about comedy movies and more at CNN Comedy. CNN Living reflects your life. From advice for modern parents to the freshest news in food: It's all here. Travis and Joyce Miller started producing hickory syrup as an experiment. Demand for the unique flavor has turned into a full-time business. These happy couples kept the campfire flames burning, and turned summer flings into lifetime commitments. Parents: Bad mom or criminal? Shanesha Taylor says a moment of "desperation" led her to leave her children in a car during a job interview. Bikinis might dominate the beaches, but style editors and trend forecasters say the one-piece is the "fashion-forward" choice this season. Are you ready for this? These guidelines tell you when to wash everything, from sheets and cars to bras and hair. "I am a canvas of my experiences, my story is etched in lines and shading," says tattoo artist Kat Von D. Is this a good thing?